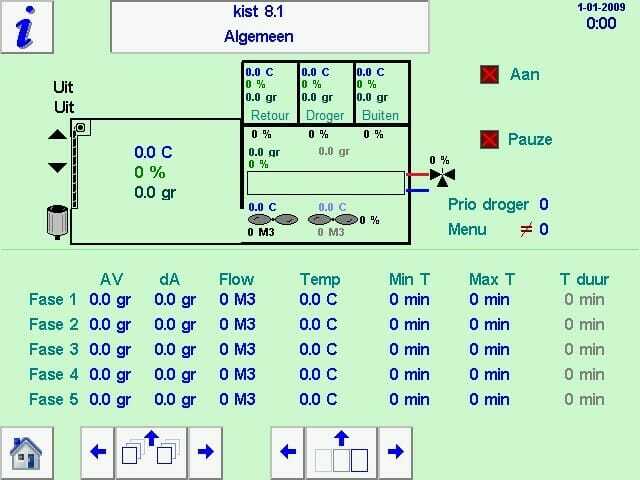 Agratechniek has developed a principle at which a central air dryer (1) brings the dried air to where it is needed (1A). 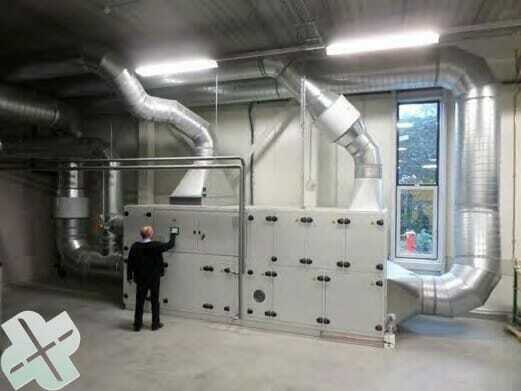 Various drying installations (4, 5), Cabinet dryers (static (6) and rotary (7), conditioning cells (2), drying tables (3) or packing machines (8,9) are connected to a central air duct (1A). Thanks to the advanced ABC process the dried air is discharged automatically to where it is needed at that moment. During the seed drying process, a lot of moisture can be discharged using heated up outside air. Unfortunately, the conditions of the outside air are not always suitable to reach the desired equilibrium moisture content at the end. Especially now that more seed companies want to receive, store and package the seed with a lower moisture content. To be able to dry the seed quickly and successfully, dried air is needed in the last phase. 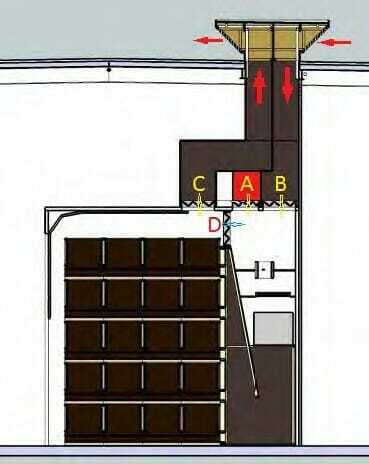 On the right an example of a central air channel for 4 drying sections. At the front the valve sections for inside air, and at the back the distribution channel for dried air. By mixing the dried air with outside or inside air, the desired Absolute moisture content (AH) can be reached precisely. 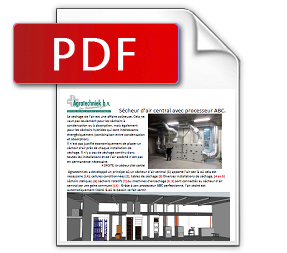 Furthermore, the existing drying installations can be supplied with dried air, using a distribution channel. The dried air mixes with the outside air inside the aspiration channel to achieve the desired lower moisture content. The decreasing fan capacity will enable the process air to become drier, and leads to a drying process with a low moisture content. On the right an example of the ABC control for separated boxes; per box and per phase, the desired AH, air quantity and the desired T° are set. 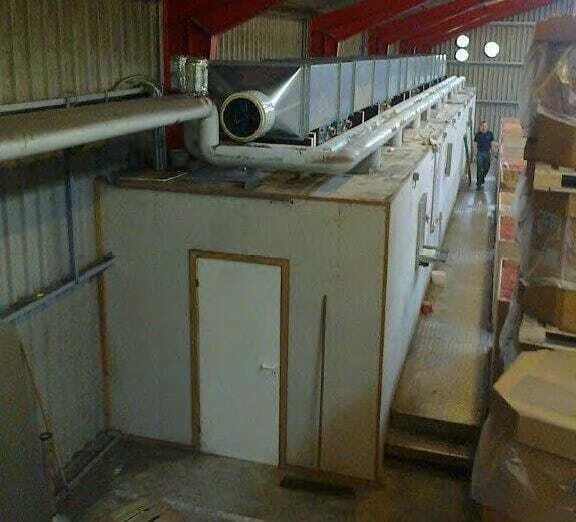 This enables the process to pre-dry per box with a lot of air and a higher temperature at the start, after which in the last phase the remaining moisture is discharged at a low temperature, with extra dry air and a small air quantity. 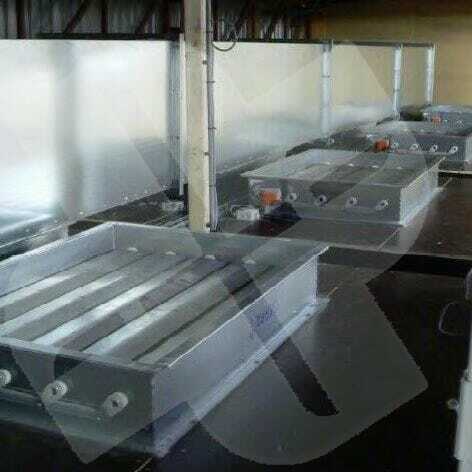 Per type of drying installation and air dryer, a specific ABC control is applied.